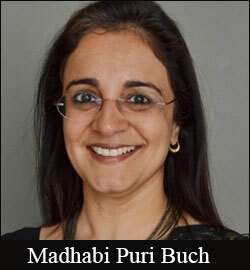 Singapore government-owned investment firm Temasek Holdings has renamed the newly acquired debt financing company SVB India Finance as InnoVen Capital India and has appointed Madhabi Puri Buch, former CEO of ICICI Securities (I-Sec), as chairperson of the Indian venture debt arm. Temasek said it has completed the acquisition of SVB India Finance Pvt Ltd from Silicon Valley Bank, a wholly-owned subsidiary of SVB Financial Group. The $48-million deal, announced in January this year, has formally marked Temasek’s entry into venture debt business. InnoVen Capital will be independently managed with a reconstituted board of five members, led by Buch, who spent nearly two decades at the ICICI Group and played key role in setting up the broking arm of the bank namely ICICI Direct. The other board members of InnoVen Capital include Ajay Hattangdi, who would continue in his role as the CEO and managing director of the company; Shantanu Mitra, CEO and managing director of Fullerton India and Aftab Mathur, director, enterprise development group, Temasek, as non-executive directors, and Ash Lilani, managing partner at Saama Capital and former president of India and China markets at Silicon Valley Bank, as an independent director. “The funding and support from Temasek, will not only help us continue to remain the dominant player in venture debt business in India but also build a leading debt platform across key markets in Asia,” Hattangdi said. InnoVen Capital India claims to be the largest provider of debt financing to VC-backed early stage and mid-growth companies as it has so far offered over 75 loans to more than 50 companies in India, aggregating an outlay of more than $110 million of venture debt in India. It has invested in firms like Snapdeal, iYogi, BlueStone, Capillary Technologies, CarWale, FirstCry, Faaso's, Freecharge and Perfint. For Temasek, this would expand its existing debt business in India where its wholly owned arm Fullerton India Credit Company Ltd (FICCL) is already present as an NBFC. Indeed, FICCL is one of the largest foreign controlled NBFCs in India. Mumbai-based FICCL largely focuses on SME lending. Acquisition of a venture debt business would add another layer to Temasek's credit business in India and expand its exposure to the early stage investment space. Its venture investment arm Vertex has already built a small portfolio backing firms such as FirstCry, among others. As of March 31, 2014, India represented around 4 per cent of Temasek’s net portfolio value based on underlying assets. Direct exposure amounted to approximately 2 per cent. SVB started venture lending operation in India by creating SVB India Finance Pvt. Ltd in 2008. It provides debt capital to domestic, venture-backed, early and mid-stage companies in India. It had then roped in Hattangdi, who was leading Citigroup’s venture lending operations in India, as the chief of the venture debt business in the country. It provides collateral free loans of up to Rs 15 crore for six months to three years. SVB as a group also has exposure to India through its venture capital arm, SVB India Capital Partners, where it has made co-investments in companies with other funds. It has invested in various companies such as One97 Communications, iYogi, Geodesic Techniques, Genesis Colors, etc. SVB group also operates a cross-border consulting arm, SVB India Advisors Pvt. Ltd.
As per InnoVen Capital India, the Indian venture debt market is still at a nascent stage and is expected to cross $1 billion on a cumulative basis in five-seven years. Another player in the business is Trifecta Capital, which is currently raising its maiden fund.